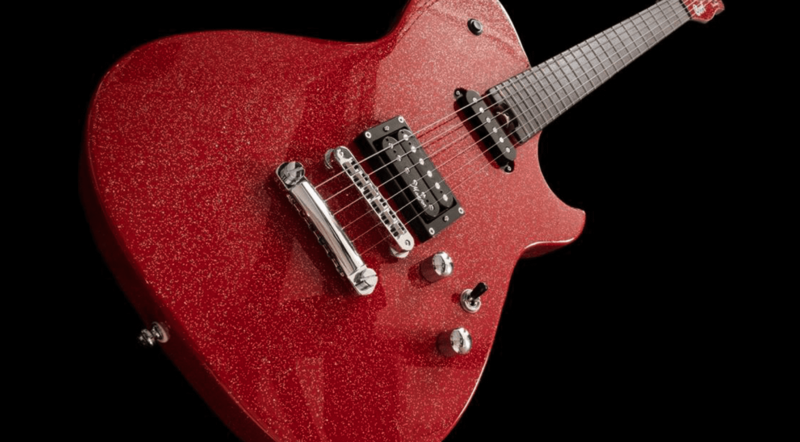 Mansons Guitar Works this week announced in conjunction with Cort guitars a new MBC-1 in Red Sparkle which is a really nice striking red flake top finish. 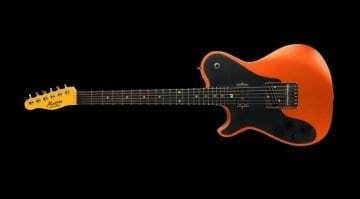 The original Cort MBC-1 guitars came out around 12 months ago now and so this will be a welcome addition to the range. 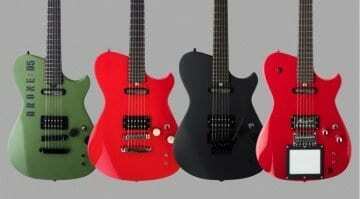 Plus they have also announced left handed versions in the near future also. So my local guitar store is Mansons, in fact they are all of a 10 minute walk from where I live. 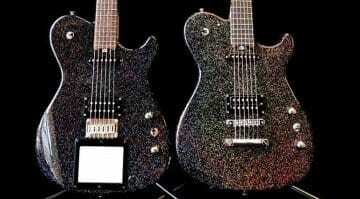 So, I have played the MDC-1 guitars and have to say they are a really well made guitar and for very little money. Hugh Manson is a very well respected luthier and his long association with Matt Bellamy from Muse is, of course, well known. These Cort models allow everyone a shot at owning a guitar inspired by the guitars Matt plays live and in the studio, featuring their modern styling and functional hardware. Up till now all the MBC-1 instruments have been in a plain black finish. Another thing I like about them is they are pretty easy to modify and add crazy stuff to à la Muse-style Fuzz Factory and sustainers, for example. In fact, Mansons Guitar Works occasionally do this kind of thing to the MBC-1 guitars, and occasionally issue limited production runs. I saw a load of them today in the store myself with these kinds of modifications (I told you I was local). They are a bit like a modern Telecaster, being a solid guitar that you easily can make your own, a real working man’s instrument. Currently there is no price or definite release date yet, so check their website for more details. Of course, if I get any more information from them I will update this article. Mansons have been setting up and modifying my own personal guitars for getting on for nearly 10 years now and the guys there (Hugh, Tim & Rom) are all really great at what they do. If you ever get the chance to have them build or customise stuff for you then you’ll be in safe hands. Matt Bellamy is a local hero where I live and just happens to be a world famous player, he has a very signature sound and seems to like utilitarian looking guitars. Fans of his style will probably find these appealing. 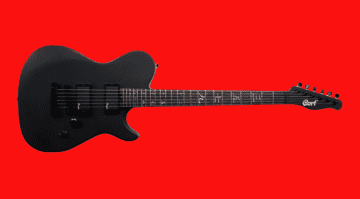 Don’t be put off by the Muse connection if you aren’t a fan, though, as every guitar that I have ever played from Mansons Guitar Works has been nothing but excellent. The original MBC-1 was very well received globally when it was launched in 2015 (MIA ‘Electric Guitar Of The Year Award’, Total Guitar ‘Best Buy’ (5/5) and Guitarist Magazine ‘Gear Of The Year Award 2015’) and I would imagine these new guitars will follow in those footsteps. A custom Manson humbucker design with a vintage-style neck pickup, a kill button, sleek neck profile and locking machine heads.